Can't decide what to buy? 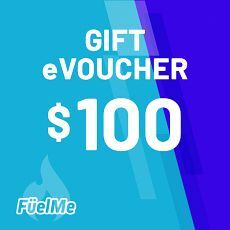 Let them decide and get the product that they really want with a FuelMe Gift eVoucher. 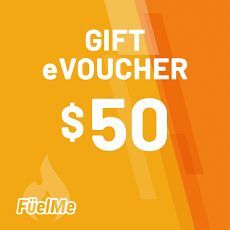 These electronic Gift eVouchers are redeemable online at FuelMe.co.nz. Simply choose the amount you want to gift them and they'll receive the gift voucher in that amount by email. The Voucher amount is given in New Zealand Dollars. • During Checkout you will be prompted for information regarding the recipients details. You’ll need to know their email address so that they can receive the gift voucher. • The recipient will receive a confirmation email with a special redemption code that can then be used online during checkout. 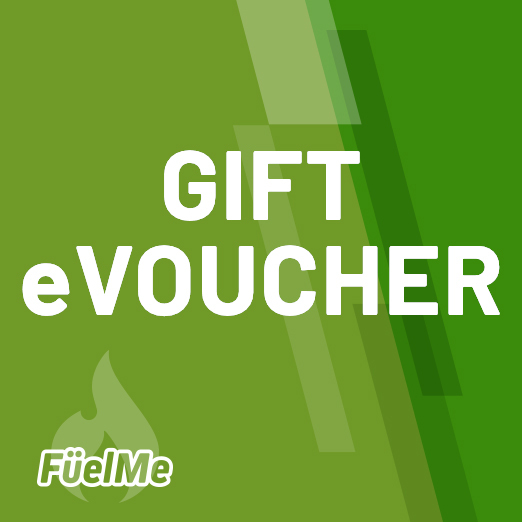 • Gift vouchers are only redeemable through the FuelMe website. • The Vouchers never expire. **PLEASE NOTE: GIFT VOUCHERS ARE SENT VIA EMAIL TO THE RECEIVERS EMAIL ADDRESS; RECIPIENTS WILL NOT RECEIVE A HARD COPY. THEY WILL RECEIVE A CODE TO USE TO THEN PURCHASE ONLINE IN THE AMOUNT GIFTED TO THEM.